WPEngine is likely the best dedicated WordPress host on the planet.. It comes with it’s ups and downs, and is specifically designed to just run WordPress sites, so if you’re looking for anything but those sites then you’ll need to find a different host as it doesn’t cater to anything but WP sites. That being said, if you want to host WordPress sites only and you’re looking for the best WP host on the market, in terms of speed, security, support and more.. Then you’ve found the host for you. Before we get into the post, I want to get all of the downfalls I found with WPEngine out the way and exactly why I don’t think it’s very good for anything other than hosting WordPress sites. This may seem a little strange, as I am do think WPEngine is a fantastic service.. but seeing the very limited cons first, will be a blessing when you come to setup an account with them. The pros FAR outweigh the negatives. Unfortunately due to the way WPEngine have configured access to the phpmyadmin area, you’re not allowed to create new databases, which means you cannot manually create any installs of CMSs besides using their automatic WordPress installer. There is ways around this, and some CMSs won’t rely on SQL DBs to setup but a large majority do. A lot of people who’re familiar with hostings have become very accustomed to using the simple and effective cPanel interface, however a lot of developers hate it.. And WPEngine is one of a select few hosts that doesn’t offer cPanel at all. That being said, they do offer SFTP (FTP, but encrypted for security reasons) which means you can get a very similar file manager using something like FileZilla on your desktop. This also means (as I said in the previous paragraph) that you can install non-database CMSs. If something goes wrong with a CMS outside of WordPress, the staff likely won’t be able to help.. There knowledge of WP is extremely high and any problems I had with my 4 WP install migration and month+ hosting with them has been quickly resolved via live chat in a matter of minutes. They’re also extremely helpful when it comes to finding things like themes and plugins that you just cannot seem to locate – They have a vast knowledge of plugins, and when I asked if they knew of a plugin that did X, they located one within just 3 minutes. However when I asked them about a non-WordPress CMS, they couldn’t be of service and I had to do a bit of Google’ing to locate any real support for it. I ended up moving that site away from WPEngine completely. WPEngine also doesn’t offer any kind of an email system, instead you’ll have to configure your DNS (I use DNS Made Easy for my custom nameservers) and MX records to allow for a different provider to host any email exchanges you want. I use Google Apps to host my emails through the Gmail interface, and it only costs an additional couple of bucks per month per email, though you do get a pretty prolonged free trial of around 3 months until you’re actually billed anything and there’s several other services you’ll get as part of your monthly subscription. Plus a lot of non-techy people will find it extremely easy to use a Gmail interface, over setting up something like Outlook. Prior to using WPEngine to host this site, I had a VPS dedicated to hosting this blog from RAMNode – It had been setup with speed optimization in mind, but was routinely (according to GTMetrix) getting less than satisfactory load times of around 7 – 10 seconds. In comparison (according to GTMetrix) the average load time of a site on the internet is 6.2 seconds. My homepage’s file size is fairly big as well, and the main reason for it not being significantly lower is the 6 YouTube embeds and large image files I have on the page. If I were to scale those images, remove the embeds and have links instead.. These files would be significantly smaller. However, I lose user experience quality. Previously to using WPEngine, Pingdom put my load time from the USA at around 3.8s and Europe at 3.2s – Giving WPEngine the CLEAR advantage here, even with the speed optimized configuration we did on the previous server. Considering the size of the page, a 1.24s loading time is VERY impressive. I’m sure with a few minor OnPage speed improvements, I could have it drop below a one second load time. I will get around to making those speed optimization changes at some point, but that’s another blog post, for another day. Of course, if you know much about hosting it’s impossible to have a host that can guarantee 100% uptime, even the so called “bullet proof hosts” will tell you they can’t guarantee your site will deliver to everyone on the planet at any given moment. That being said, when WPEngine do experience downtime it’s not like most other hosts.. Due to the way their infrastructure is setup, when they experience downtime, only a small % (normally under 1%) of their customer base is affected. All in all, on average last year, WPEngine customers experienced about 50 minutes downtime per site, for the entire year. This does also account for DDoS attacks, which are a major factor when running a site and WPEngine’s mitigation network works overtime so that even if your server does go down, their server grid will prop your site up anyway.. Essentially negating the attack. WPEngine has one of the best WordPress migration tools out there. It may be a little more time consuming than manually moving files and databases, but it means you can make sure your entire site is moved properly (as it’ll move to a subdomain run by WPEngine prior to your live site) first, before ever moving to your actual live environment. It’s literally a 7 step process, won’t require you to download anything to your desktop (as server to server is 1000x quicker than downloading your site) and if you’re finding it really tricky to do.. Then you can always hit up their live chat who will do it all for you anyway. You can choose to have your server hosted in either the US or UK data centre, and if you have traffic from around the world (like I do) then you’ll ideally want to use a CDN, normally you’d have to get a hosting package and pay extra for a CDN service like MaxCDN, which can cost tens (if not hundreds) of dollars per month. WPEngine however, is one of the very few hosts that has built it’s very own CDN, allowing you to deliver your website with virtually no load time difference around the globe, no matter which data centre you choose… Even if your visitor is on the other side of the world, and the best bit? It’s part of your monthly subscription, no extra fees. And it’s enabled straight onto your WP installation, no plugin configurations, just a simple checkbox. The live chat PHP7 module they use is extremely effective, and the staff manning it seem extremely capable of dealing with any server or WordPress issue I could think to put to them. Not only was every live request I sent answered within 30 seconds, but once I’d pitched the question the responses were in perfect English, leading me to believe the authenticity of the names and pictures they’d assigned to the staff, rather than faked profiles of Indian or Filipino $2/hour VAs manning the systems of most other providers. I never spent more than 5 minutes in the chat box, they quickly fixed any issues I had or gave me precise instructions… Even when I (and my developer) were being rather stupid and forgetting one of the most basic permalink settings in WordPress. With WPEngine, backups aren’t really an issue.. They have an automated backup system that runs every 24 hours, as well as an option to create manual backups. They don’t eat into your overall file size allowance either, which means you won’t need to be purchasing anymore disk space anytime soon, even if you’re on their smallest package. In terms of security, WPEngine are experts when it comes to WordPress.. They have real time threat analysis, managed server patches and constantly monitor for new intrusion techniques against WordPress and it’s associated plugins – Meaning if you’ve got a dodgy plugin on your site, it’s very unlikely anyone will be able to exploit it due to the precautions they take and the warnings the system will give you both inside your WPAdmin area, and via email. Every server is configured specifically to protect against known threats, has live monitoring enabled (with 24/7 security staff monitoring it) and each user is split at the kernel and file level, which means no matter how good you are, you won’t be able to get into another users files through your own WPEngine account. Each enterprise account is also run on it’s very own dedicated server (or servers) and is completely disconnected from any other WPEngine customer or hosted site. In the extremely rare event that you do get hacked, they offer a completely free consultation service in which they will audit and fix what caused the hack and any damage the hackers left. Though they do conduct periodic security audits, improvements & assessments against their own networks & sites to make sure the entire network is as secure as possible. The only thing holding WPEngine’s pricing back is the visitor count, for site’s that make little revenue per month off large amounts of visits it can be extremely expensive. Adsense sites or sites with low commissions/sales points will not fair well profit-wise being hosted with WPEngine. As it’s around 1 cent per visit, which can work out to be hella expensive for the lower revenue/visitor sites out there. To add to the pretty decent pricing you get from WPEngine, they offer a 60 day money back guarantee just in case you aren’t completely satisfied with the service they provided. This gives you 2 months to work out any kinks too, and make sure any transitions in your site are done correctly. I thought I’d also include an FAQ for those who still have questions around WPEngine, that I haven’t specifically answered in the rest of this post. Does WPEngine offer dedicated hosting? Yes, they offer dedicated WordPress hosting for both the UK, and US. However, this is not included in any of the standard plans, you have to contact them for Enterprise level accounts. The WPEngine sale routinely runs every Summer & Winter, with a general 20% off amount. They do however occasionally offer other coupons and sales. Is WPEngine Better That SiteGround? I haven’t yet done a SiteGround review, but I suspect I’ll get around to doing one at some point. SiteGround offer a very similar service, but in terms of WordPress installations, WPEngine is the best in the market. If you’re doing anything other than WordPress however, then I suggest checking out SiteGround. No, they have a restricted version of PHPMyAdmin, that’s it. No cPanel. How long have you used WPEngine for? I first got an account with WPEngine in 2015, but didn’t start using them fully until July, 2016. Does WPEngine Offer a 60 day free trial? The “WPEngine Trial” that people keep referring to, is fake, unfortunately. It really just gives you a 20% off first month deal (like the Summer Savings coupon I showcase) and doesn’t actually give you a 60 day free trial. Sorry. Does WPEngine offer a VPS package? Unfortunately not. You can choose between shared (though you’re in a unique environment, so it is similar to running a VPS in terms of speed/IP etc) or dedicated with the enterprise package. Overall I think WPEngine likely has the best dedicated WordPress hosting on the planet, there age, experience, servers and staff make for a very powerful combination and that’s exactly why they’ve become such a dominant player in the hosting market.. Pulling in clients from small bloggers to some of the biggest sites on the internet, all running on the world’s most diverse CMS: WordPress. 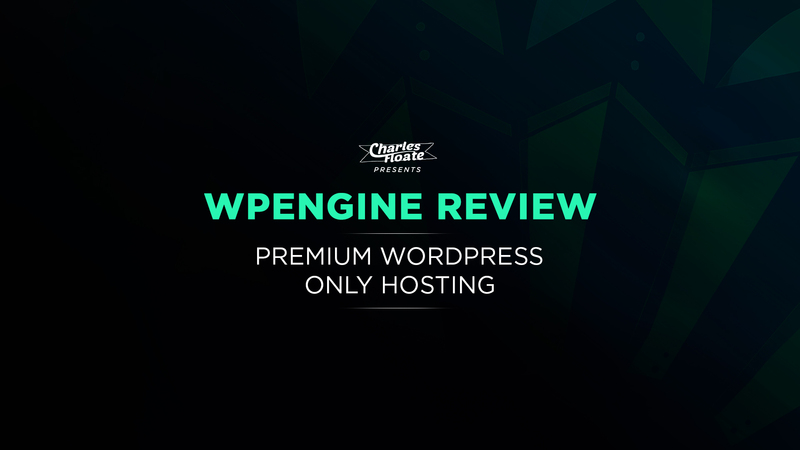 I hope you enjoyed this review and it gave you an insight into why I’ve chosen to host my blog with WPEngine, and why I think you should too. WPEngine's WordPress expertise makes them the best WP host on the planet, but when it comes to other CMSs it's a completely different story. If you're looking to host sites running in WordPress only, then signup today, but if you're looking for anything other than WordPress.. I'd suggest you find a different host. Just like to note that I use the professional package to host this blog, it’s just under $100 a month which isn’t bad for what I get from it! Oh really? My browser extension says this blog is hosted at Rackspace. What gives? Nice review, I’ve used WPEngine for quite a few months now and their support is amazing! Who would you recommend for other CMS hosts then? Thanks man, I’ve recently been trialing SiteGround which seems to be awesome for non-WP stuff, I would of previously recommended MDD but they’ve been going downhill. And the hosting of TRAFFIC PLANET do you know? Traffic planet hosting, I know of it yes and have tested it out.. WPEngine had better loading times & a LOT quicker support. TPH is still good, but it’s not as good as WPEngine. I use TPH and I love them, I actually decided to use them against WP Engine as a result of Matthew Woodward’s scathing review of them. However it’s interesting to see another side of the story. Woodward’s review was a significant amount of time ago now and they’ve since made some big improvements. Locations of the CDN? Btw 5 seconds for a website is not really good imo, 2.5 seconds it’s the minimum if you don’t want visitors bouncing back. As explained, 5 seconds isn’t the actual time at all.. My site loads in about 2s, its just the homepage has 6 YouTube embeds, Facebook scripts and a ton of high res images to load.. Check out how fast this post page loads in comparison for a better test – Though the Facebook box in the sidebar will still slow down the loading time! Good review. I was first planning to use WPEngine for my main sites. 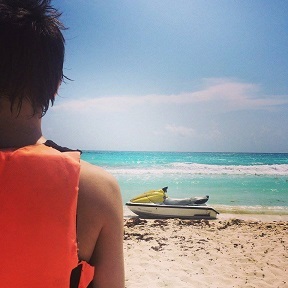 But after i found digital ocean VPS hosting i could not go back. I host about 30 sites with digitalocean now. As i work on WordPress Theme development and speed optimization services for wordpress i was able to apply redis caching to my Digitalocean vps server which is 5$ per month and my sites loads a lot faster. My site loads in under 1 second , 2 second is not good if you are paying about 100$ in my opinion but if you are in it for the support wpengine is worth it . And some starting plans are hosting on a shared hosting platform in WPEngine which is bad as i get a dedicated IP along with 5$ per month vps at digitalocean. Using EasyEngine script you can also install wordpress on your server within 1 minute and also you can add as many sites as you want until your vps can handle the traffic . Have you tried digitalocean and vultr charles ? If so what’s your opinion about them. That loading time is good, but do you get it internationally? As WPEngine’s grid/CDN works to deliver it across the globe for you, where as DO will start to get slower & slower the further away you get. I have tried Digital Ocean, didn’t really like the support and I like RAMNode for VPSs as they offer well priced SSDs as well. Though Digital Ocean is really easy to setup VPSs with, I will admit! Check this https://gtmetrix.com/reports/charlesfloate.com/de4bAGfv this is a professional speed test. Just this image, even with the cdn 1.5MiB this is insane. I know, I need to run image compression again.. I used to do it, but stopped the cache’ing plugin due to it affecting some of the things I run on my blog. That´s why I trust you. 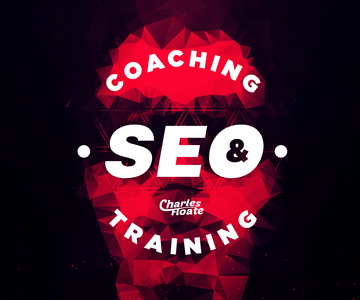 Charles, I noticed you’re using WP Social SEO Pro Plugin for the review schema. Do you have an older version of WordPress or does it not matter? I noticed the plugin hasn’t been updated in almost 2 years. It’s a premium one, it still gets updated but not to the WP part, you verify ownership and it does automatic updates. Not sure you took notice. Saw this now at the top of this blog post. ASO are one of the worst hosts I’ve dealt with, their UI is extremely bad and their customer service is not upto par. I’ve tried it 3 times. WPEngine has come a long way in the last 2 years.